Achieving commercial success across a wide range of businesses is often a good guide to success in real estate. I believe this has stood me in good stead from the time I moved from Melbourne to the Gold Coast to pursue a real estate career in 1988. My diverse career background prior to real estate included owning and operating a restaurant/night club and 12 years marketing shipping with ANL involving travelling throughout the Pacific Basin region consulting with importers and exporters on a variety of commodities. I have worked in the Real Estate Industry for the past 29 years. In 2003 I opened Sue Foskett Real Estate, which has proved extremely rewarding. The Gold Coast provides a great range of property investments which will always attract a variety of buyers. We pride ourselves in matching the two. Whilst I specialise in Prestige Properties, my philosophy is no job is too big nor too small. 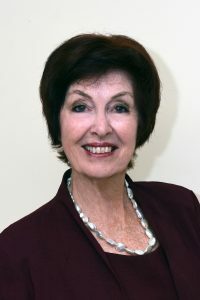 Sue Foskett Real Estate Pty Ltd. has a reputation for high ethical and professional standards, operating in a discreet manner offering clients total commitment at all times.